2017 is a very interesting year for Tennessee football. On one hand, there are whispers about Butch Jones’ job security, but at the same time, most folks realize that he’s recruited elite talent and has fixed the depth chart from the Derek Dooley era. Still, some question his ability to win a championship at Tennessee. This past week, Texas A&M AD Scott Woodward essentially put Kevin Sumlin on the hot seat, but Tennessee AD John Currie hasn’t done that yet. 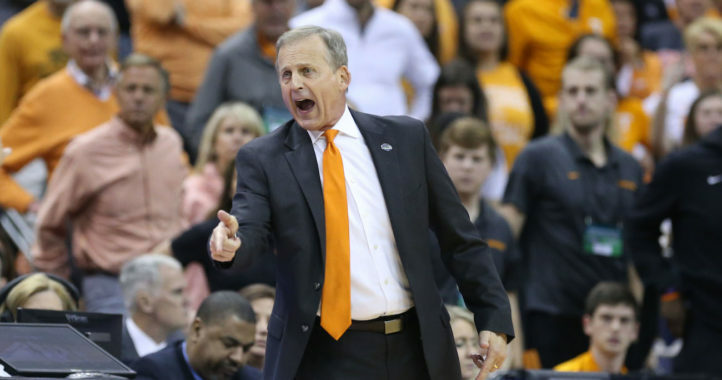 Currie joined the Chattanooga Times Free Press for a Facebook live on Saturday, and he said that Tennessee’s sports teams “have to win more” when asked about the biggest challenges he’s facing within the athletic department. 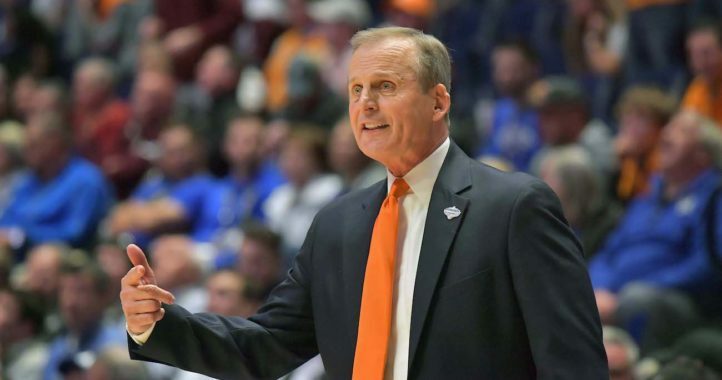 That isn’t exactly putting Jones anywhere near the hot seat, but Tennessee’s iconic program — and athletic department — could always win more. “Number one, we’ve got to win more, ok?” Currie said. “But we have to do that in the context that of what we’re here about and that’s our student-athletes and representing the University of Tennessee the right way, and that’s being an asset to the city, to the state and to all of college athletics. 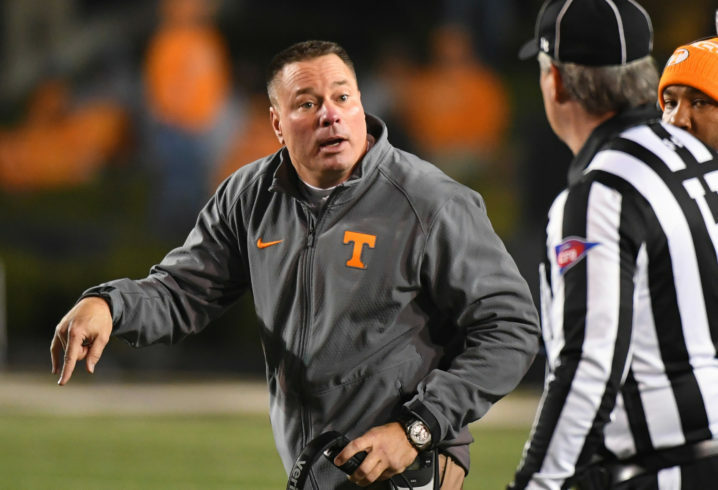 Butch Jones has compiled a 30-21 record since taking over in Knoxville, including a 0-4 mark against Alabama. The Vols have never won the East, despite being the overwhelming favorites to go to Atlanta last season. Though they finally broke through against Florida in 2016, losses to Vanderbilt and South Carolina kept the Vols out of the SEC title race once again. “The Vols have never won the East”. I thought the 99 National Title tm would’ve won the div? I’ll have to check to see if there were divs back then but I’m sure there was. The SEC began playing Conf Title games in 1992 and UT has won the East 5 times: 1997, 1998 (Won national title), 2001, 2004, and 2007. I thought that was an off statement. Yeah it’s poorly phrased but I assume he meant they have never won the division under Jones. So you don’t think the football team needs to win more? Odd take for a sports fan, but OK.
Football definitely needs to win more, but I agree that this article is shifting the focus of the AD’s quote. It wasn’t aimed at Butch Jones, but more towards our sports as a whole needing to win more games across the board. Where he put a # on it?